Huh. I had it in my head that IR was many months away, maybe even next year. But I want to be the wide eyed ingenu! Speaking of, the achievements look really fun. I love achievement hunting in these games. One of my life goals is to 100% the achievements of a paradox gsg. Have never gotten close, sigh. Why do you wish me harm? It goes to show that it’s a good idea to go for the hardest ones early in the game’s life, before pdox close all of the exploits. You mean that declaring war and then deliberately stranding your army in foreign territory when you declare peace so you can march them all the way across Eurasia without getting military access, for the sole purpose of getting visibility into Europe so you can declare war against them when you are able to remove the black flag by getting military access through some neighbor is an exploit? And that Ryuku shouldn’t be able to discover the HRE in 1450? I am working on this one now with the shogun vassal army. I made some mistakes on my first run and fell short in the late 1700s even with constant truce breaks. I feel like I gave away too much land to vassals and threatening war for vassal claims was too slow in the early game. This time around I plan to hold on to more land myself, get religious idea for deus vault and spend more effort early on eliminating colonizers. Also, looks like they’re taking a cue from Hearts of Iron in terms of being able to automate certain tasks for armies and navies, if you so desire. They talk about it in today’s dev diary. I haven’t followed this indepth but in the first picture the minimap goes past India and down Africa a ways - so that’s playable? 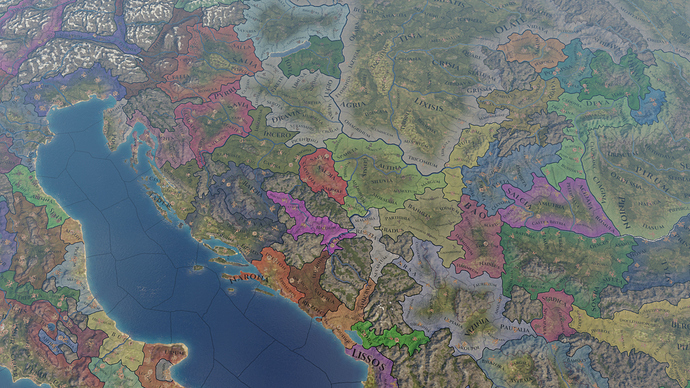 Indian states will be playable as will coastal Africa and along however much of the Nile. God imagine that map with Vicky 3. Why did it take them so f*cking long to add readable fonts? That would help a ton in CK2 and HOI IV. Difficult technical problem for them to solve. HOI4 does have a UI scale slider in the game options that helps a lot with the UI. I have to go with default as using the scalar makes all the menu and text stuff quite blurry. Really? Hmm, I haven’t noticed that. Yep, in every game that has a menu scalar, it makes stuff fuzzier when you move up from 1.0x. My eyesight is bad so little changes make a big difference. You lose that fantastic, distinct sharpness. Uh-oh - you might notice it now too if you use it. Sorry. It is a ‘paint the map’ game, but there are alot of features in the game that may (if implemented well) lead to a really interesting game. 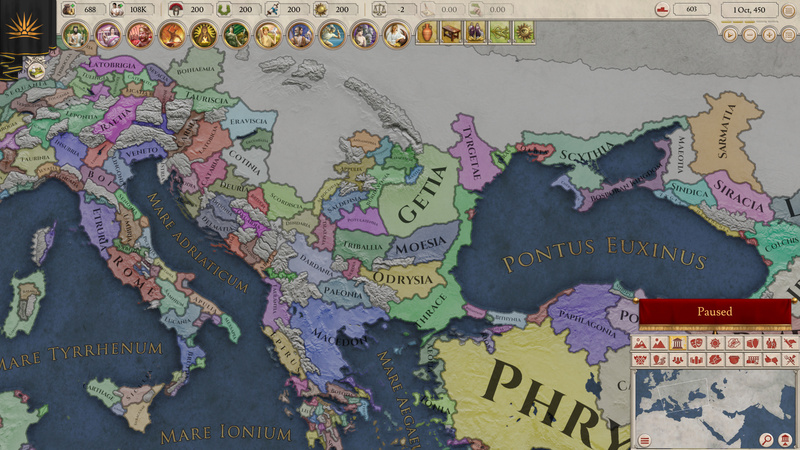 It isn’t just EU IV in Rome clothing.